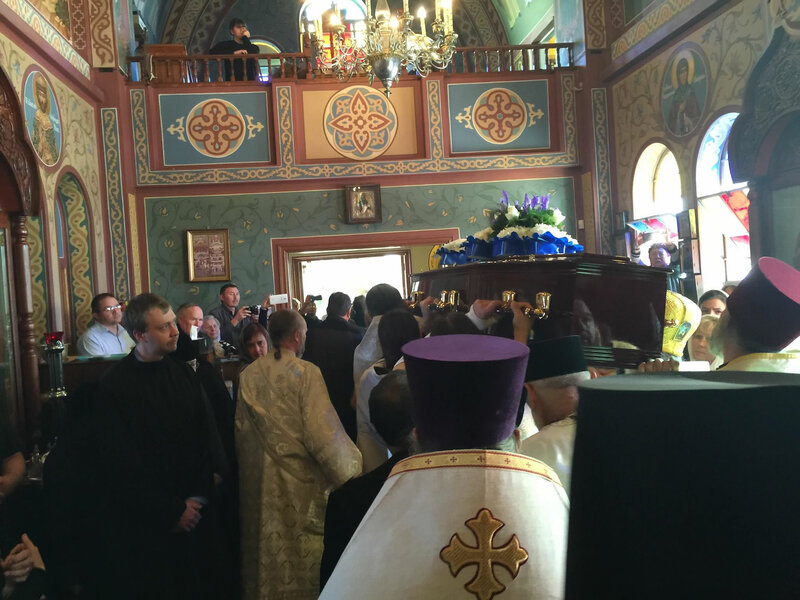 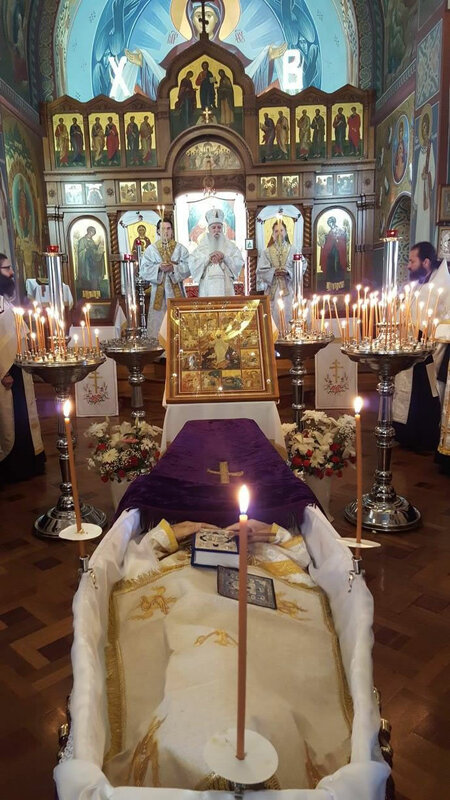 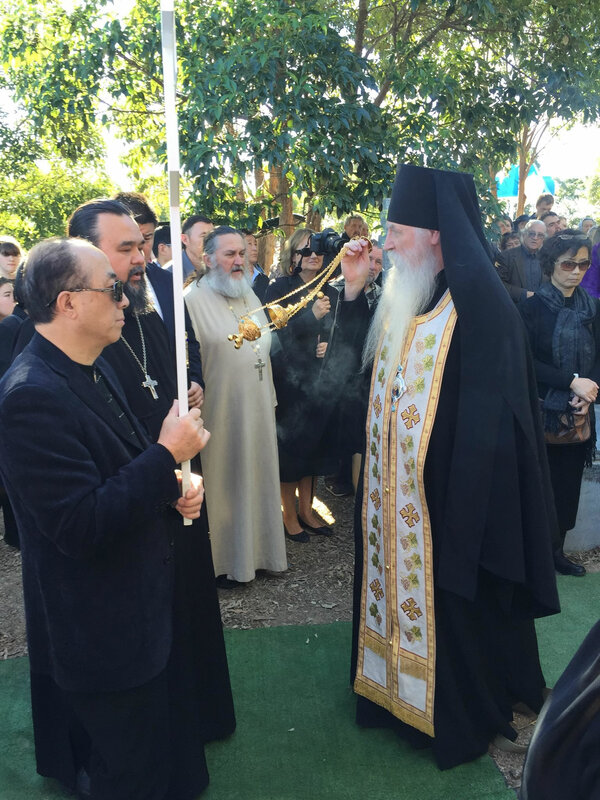 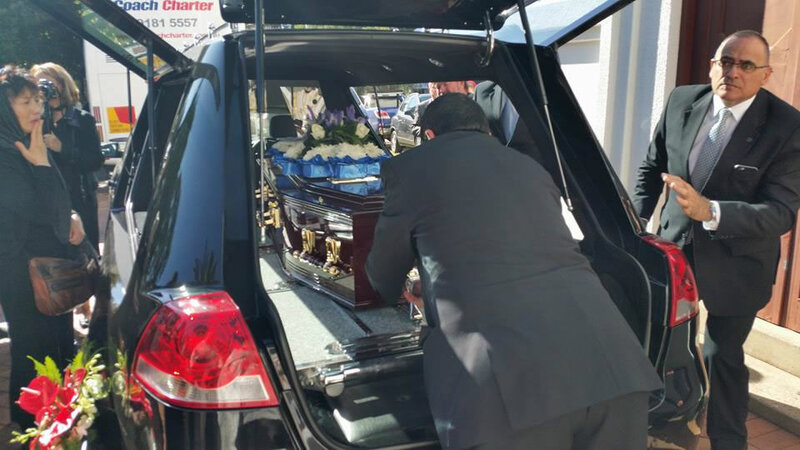 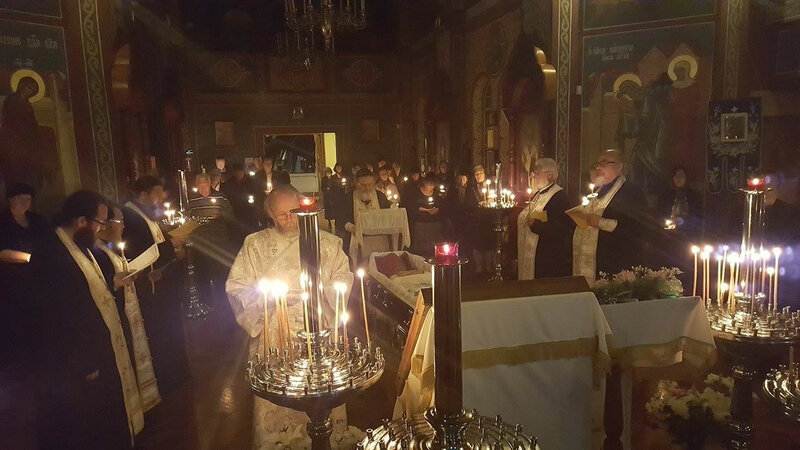 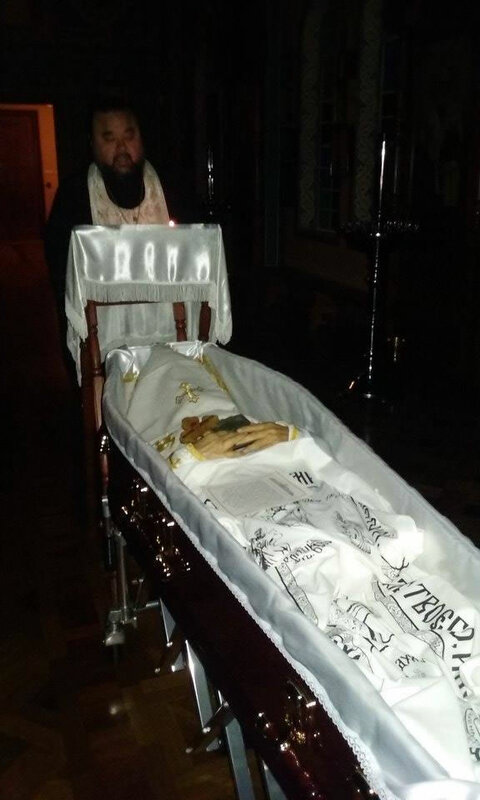 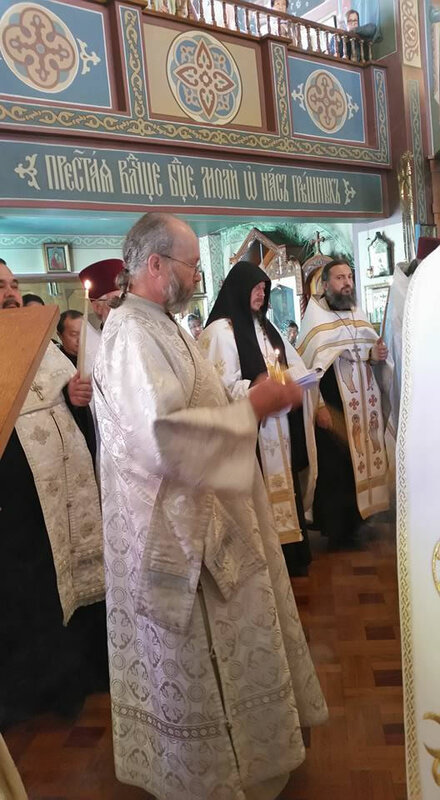 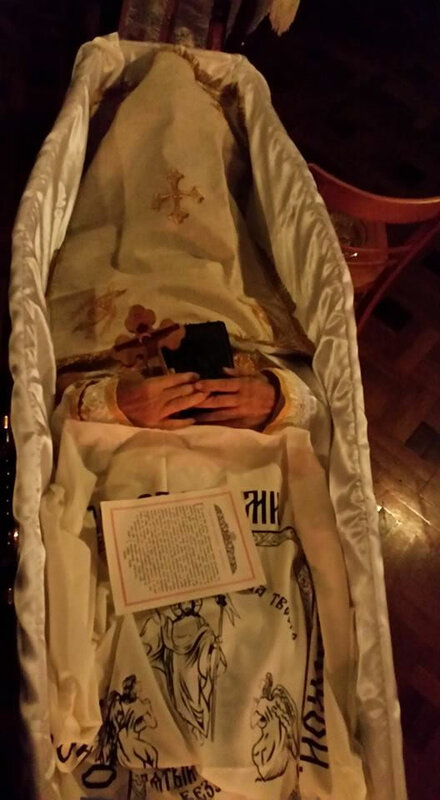 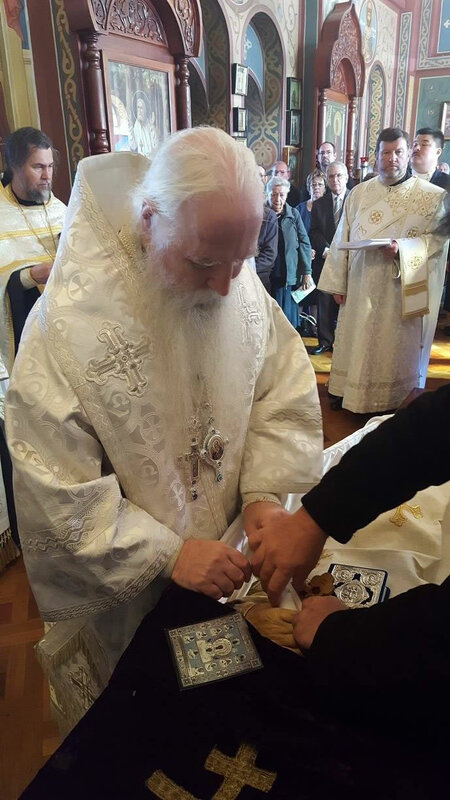 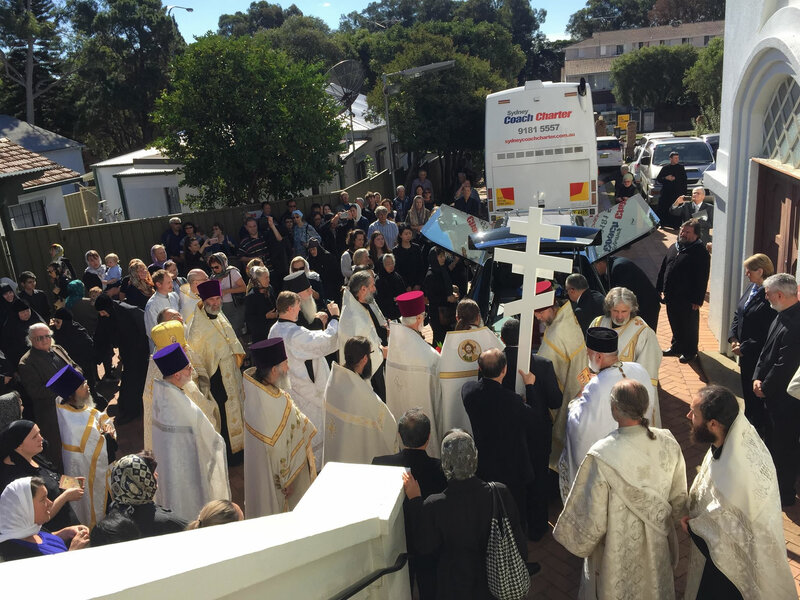 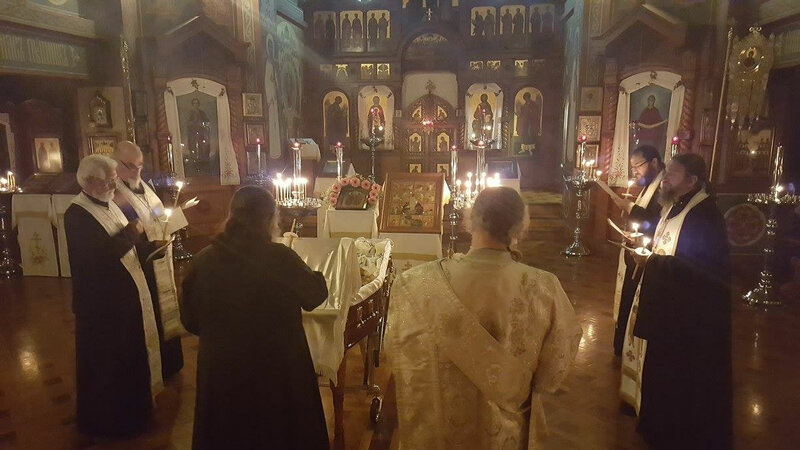 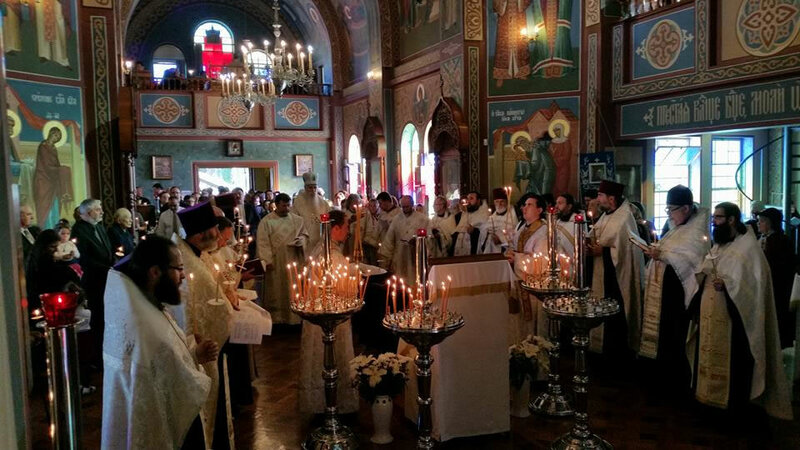 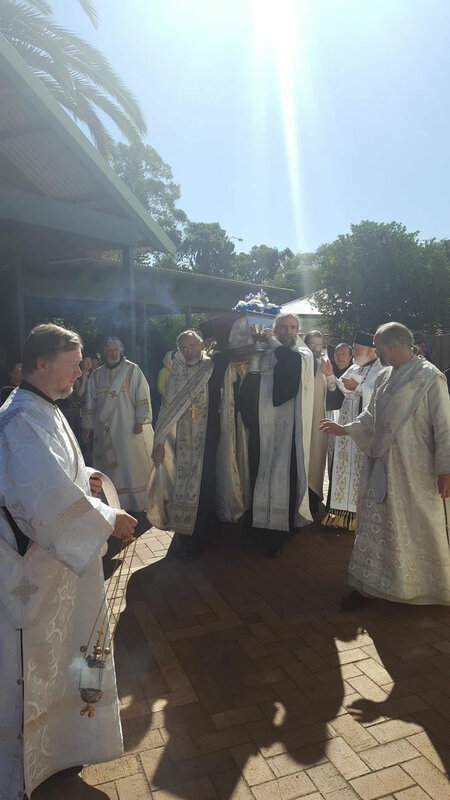 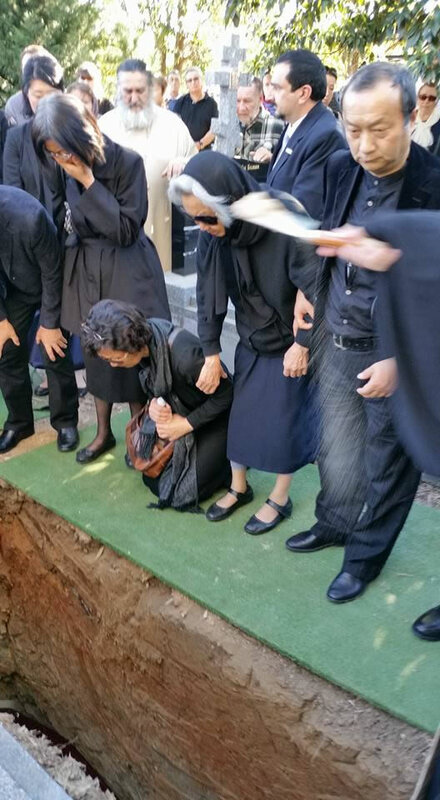 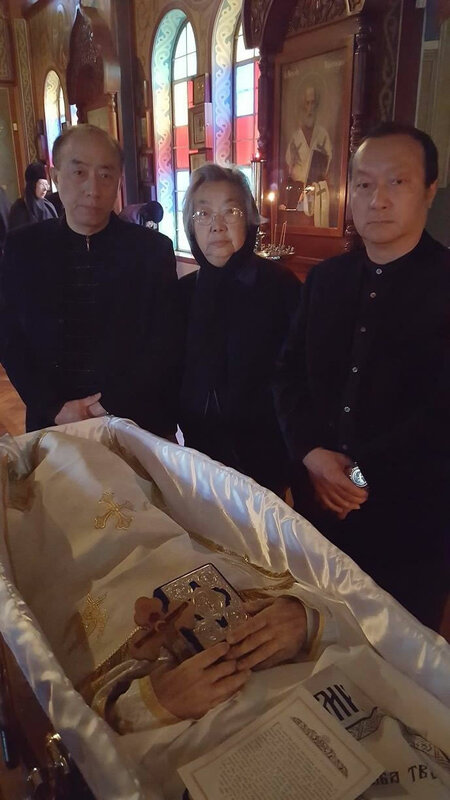 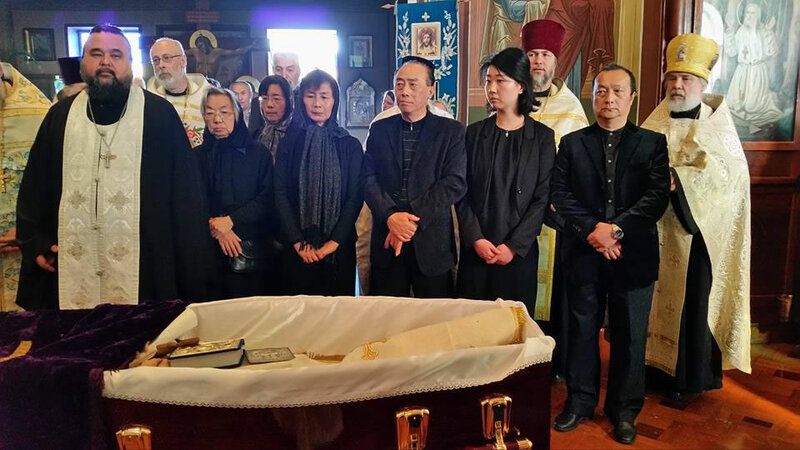 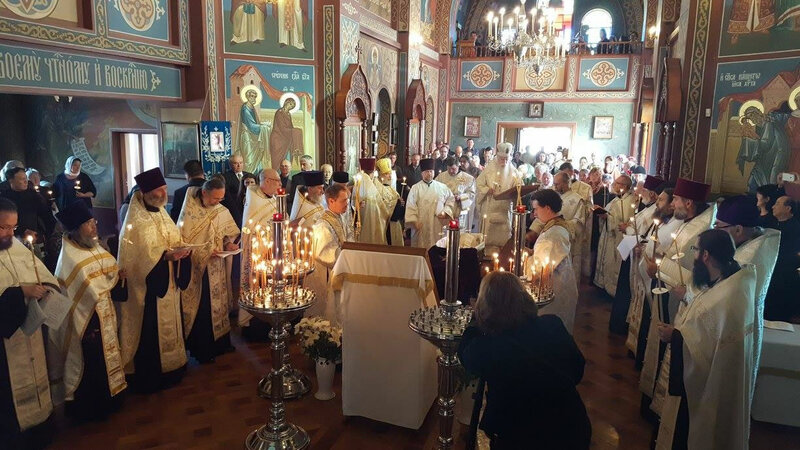 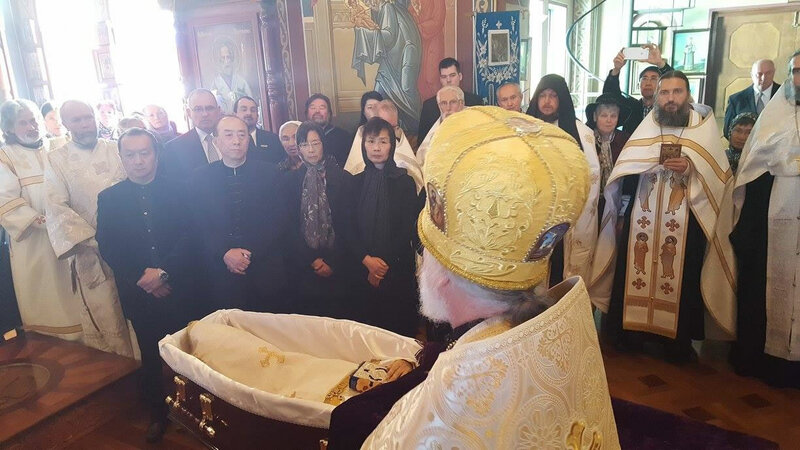 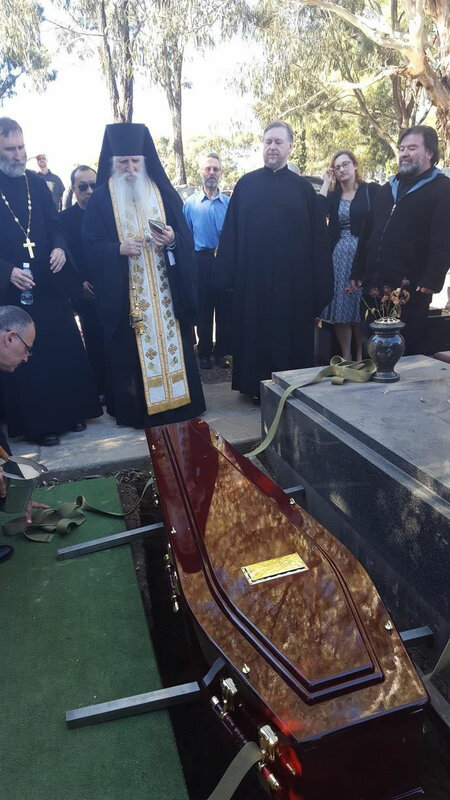 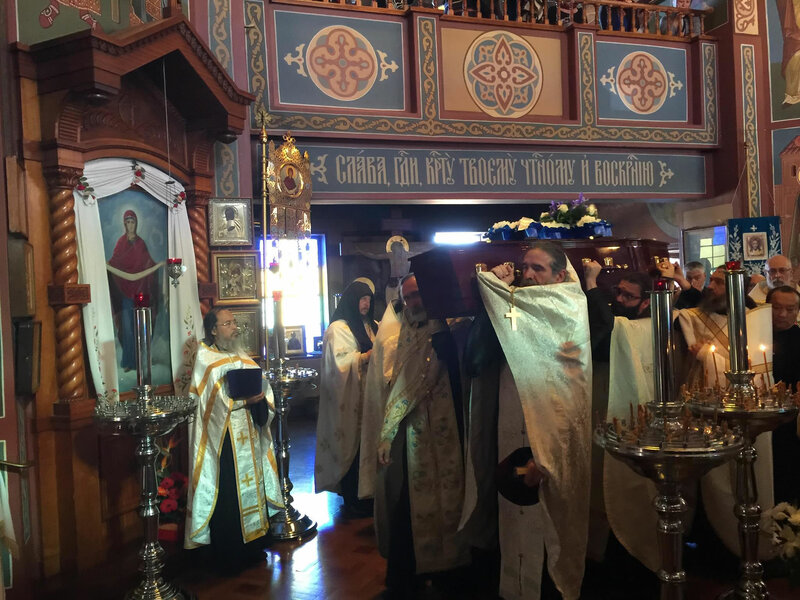 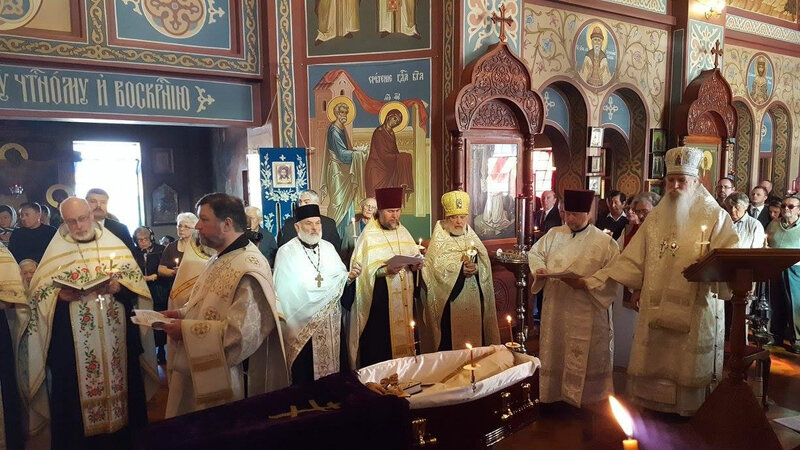 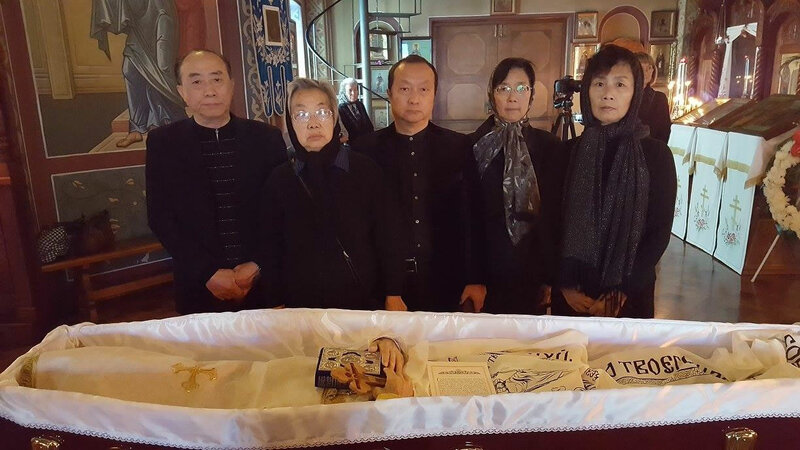 On Tuesday, May 17, 2016, the anniversary of the reestablishment of unity within the Russian Orthodox Church (2007), the clergymen of the Diocese of Australia and New Zealand celebrated Divine Liturgy in Holy Virgin Protection Church in Cabramatta, having performed vigil and parastas in the presence of the coffin containing the body of the late Mitred Protopriest Michael Li, who died last week. 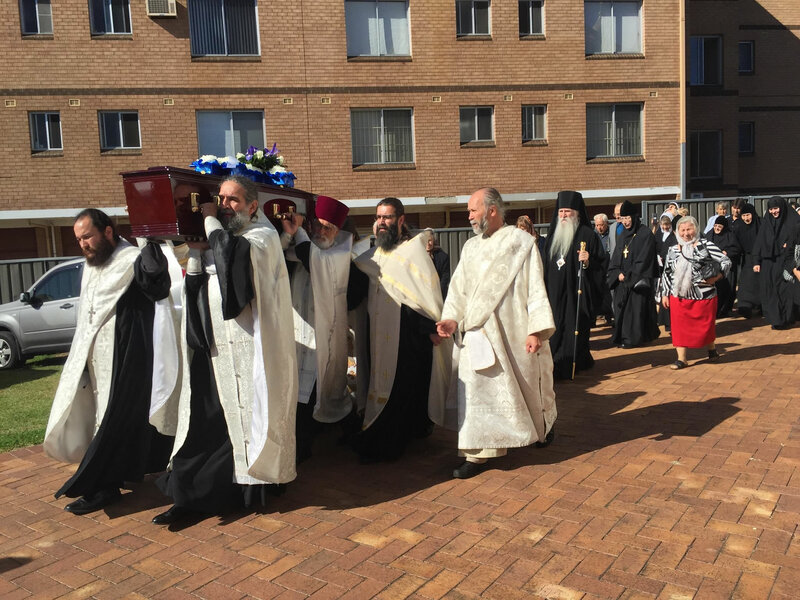 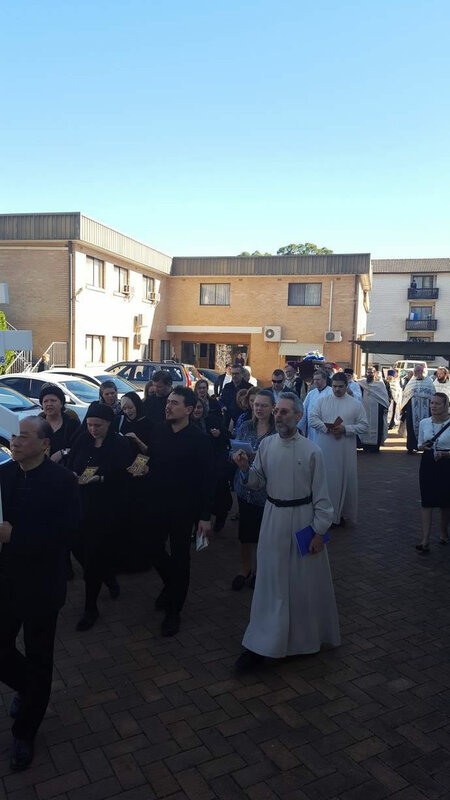 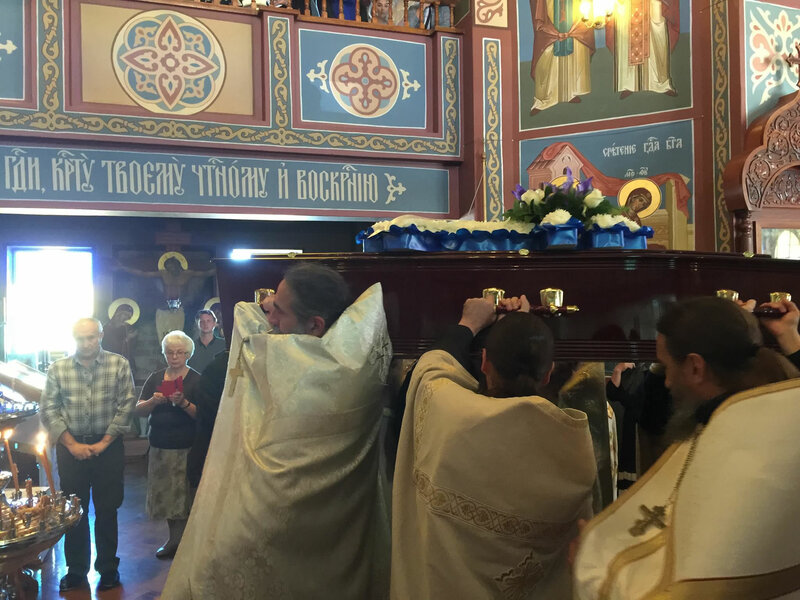 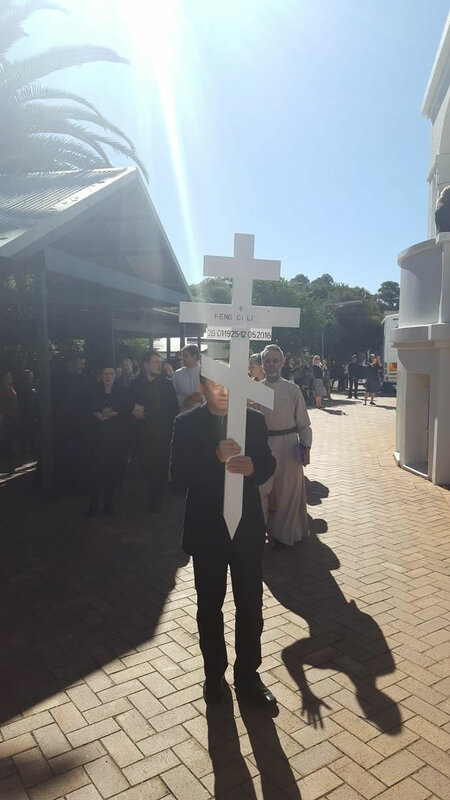 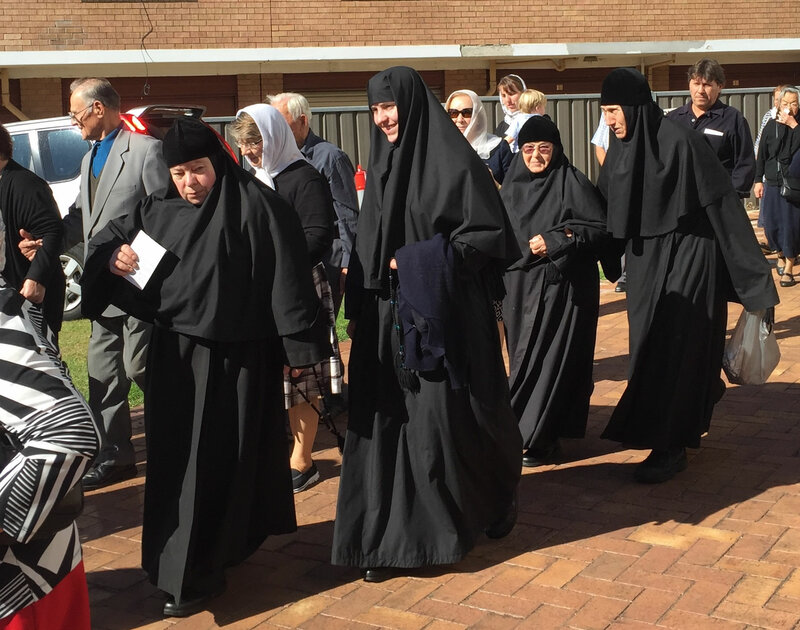 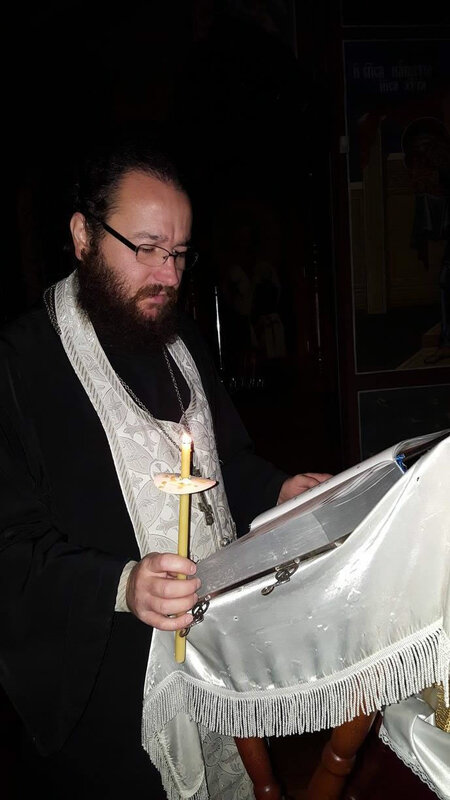 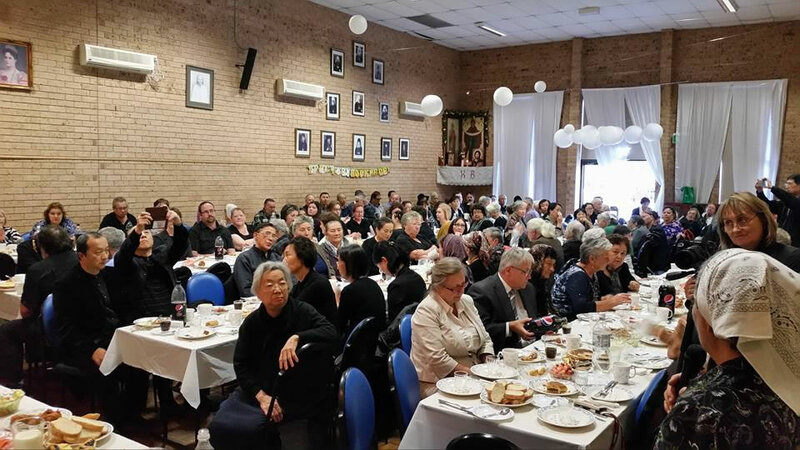 After Divine Liturgy, His Grace Bishop George of Canberra, Vicar of the Diocese, led the funeral service to a large gathering of worshipers who came to pray for the late pastor. 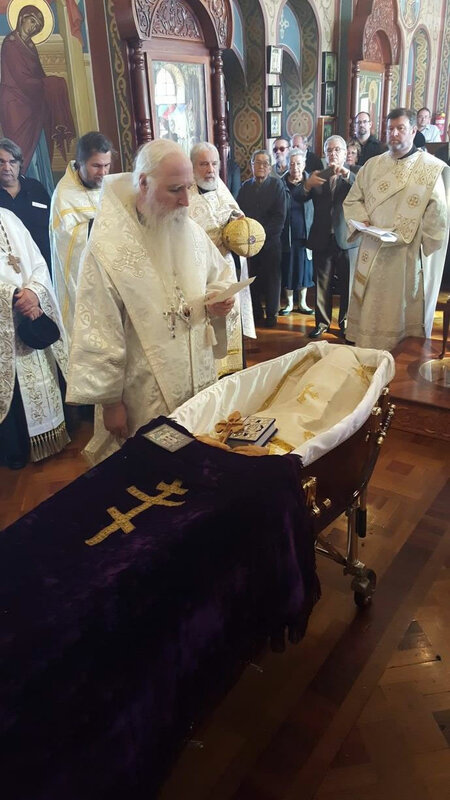 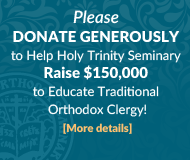 During the eulogies read at the commemorative luncheon that followed the burial, the clergymen and laity stressed the decades of ascetic life of the priest, who endured a great deal of suffering for the sake of Orthodox Christianity, and his humble nature, humility, hard work and love for divine services. 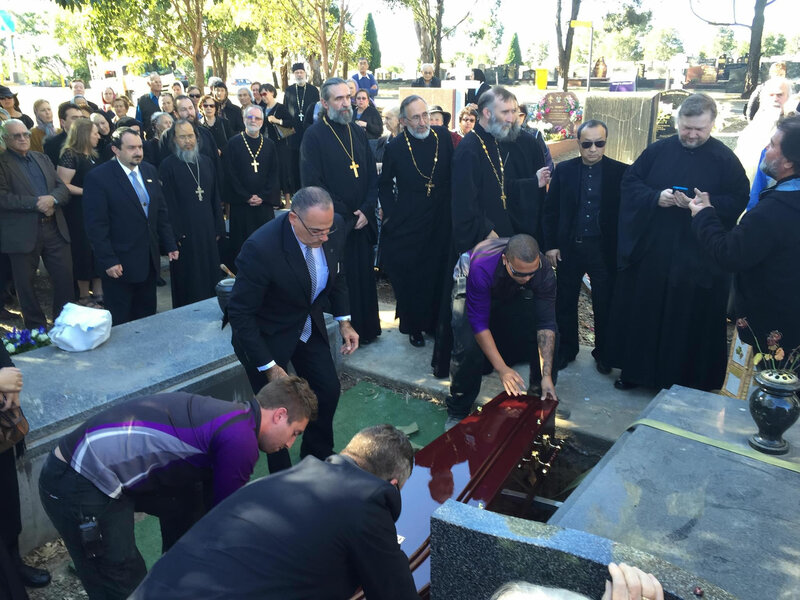 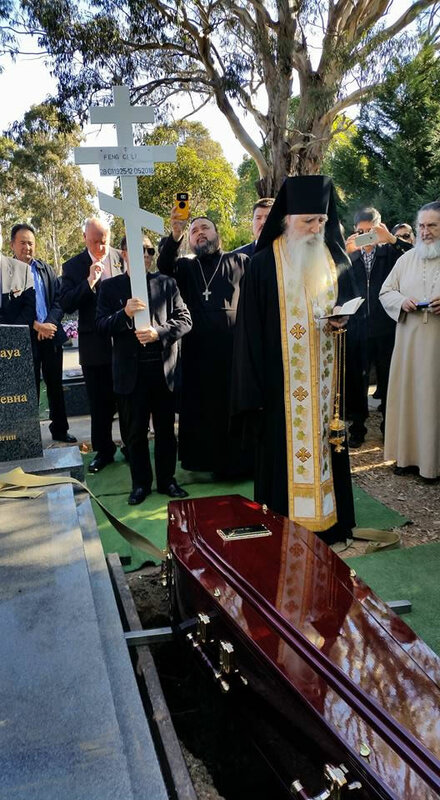 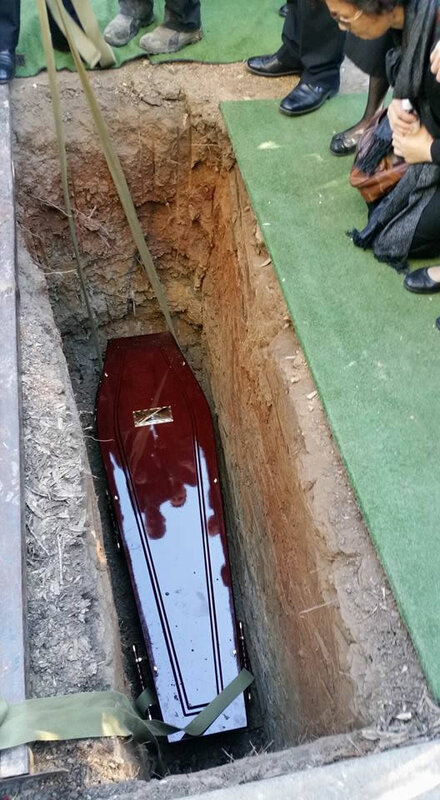 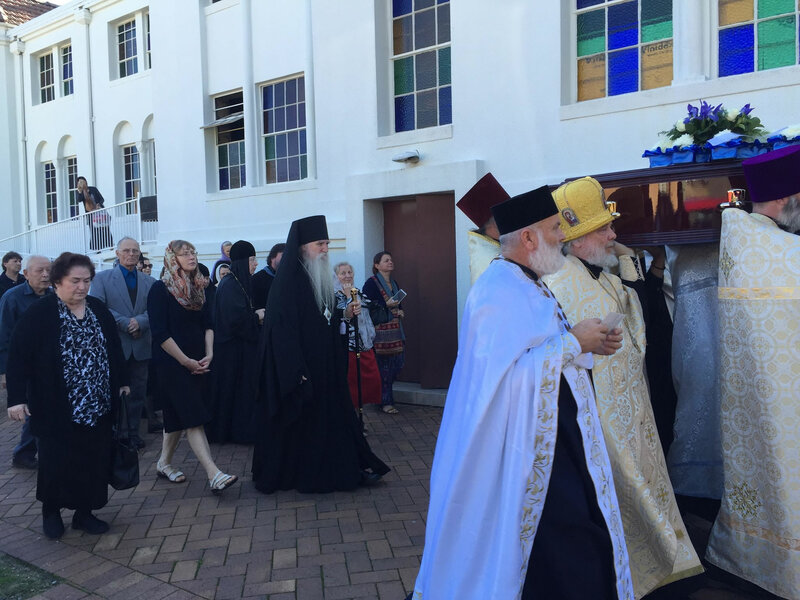 Fr Michael was buried at the Russian Orthodox cemetery in Rookwood Cemetery, the largest of its kind in the Southern Hemisphere. 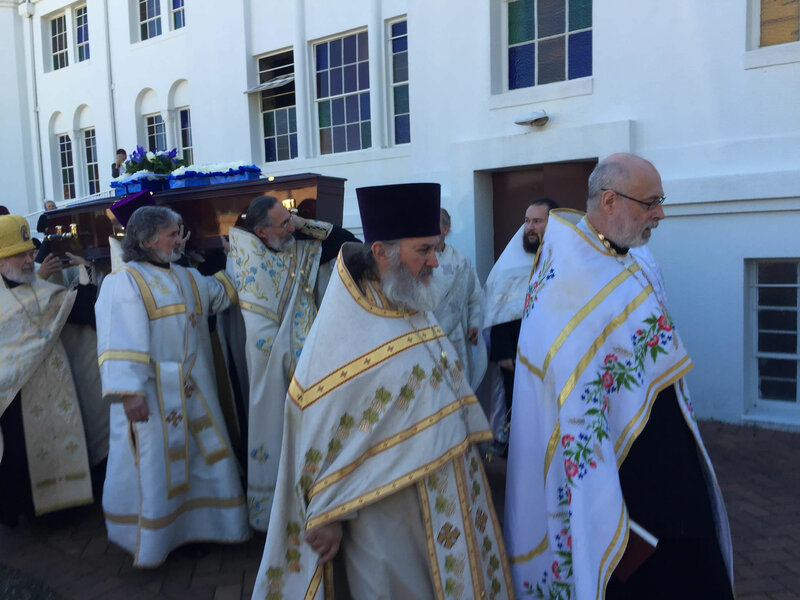 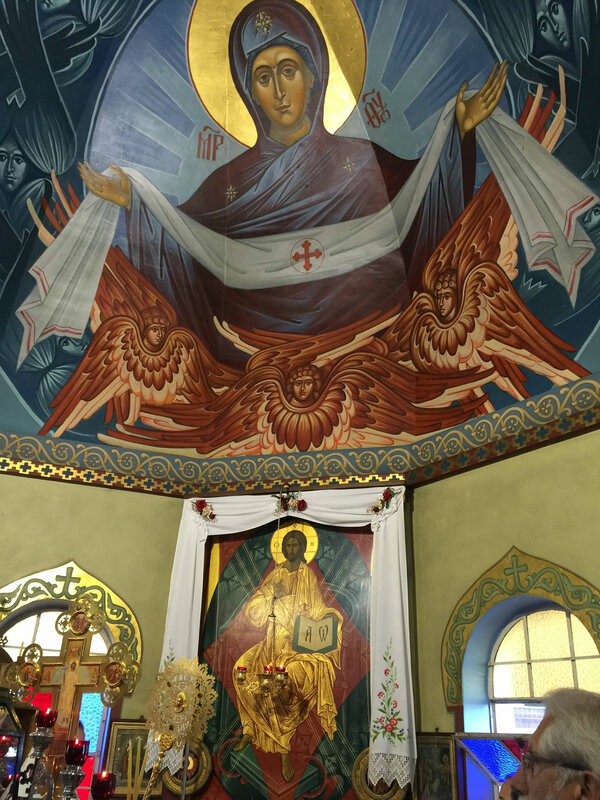 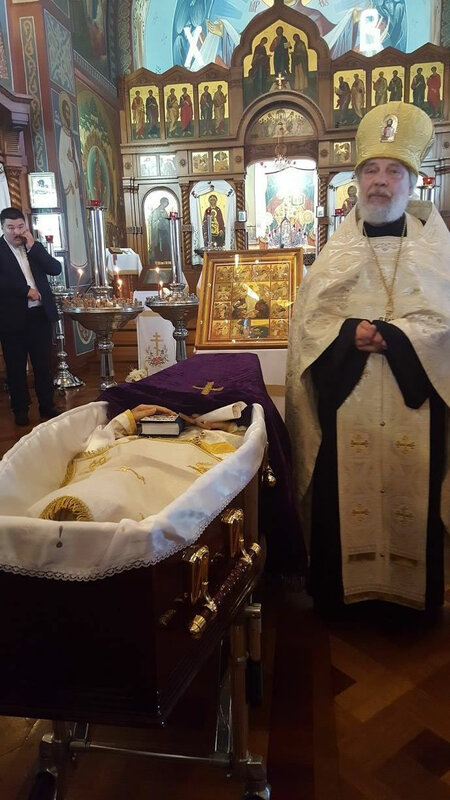 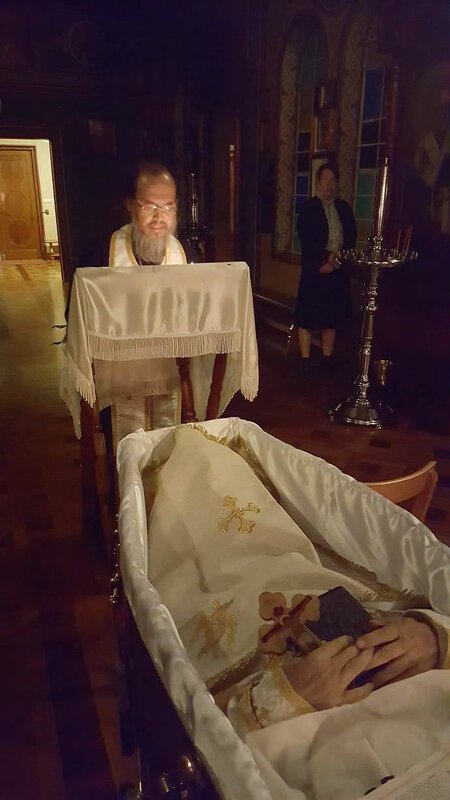 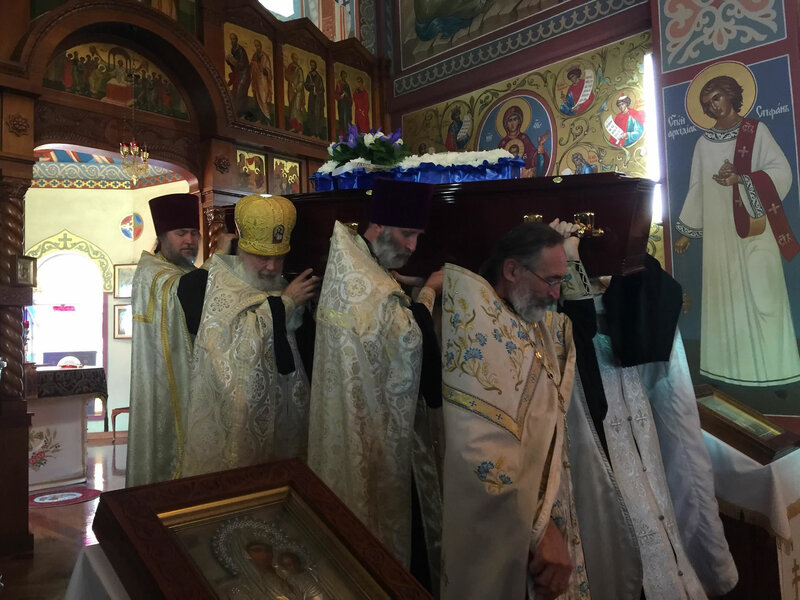 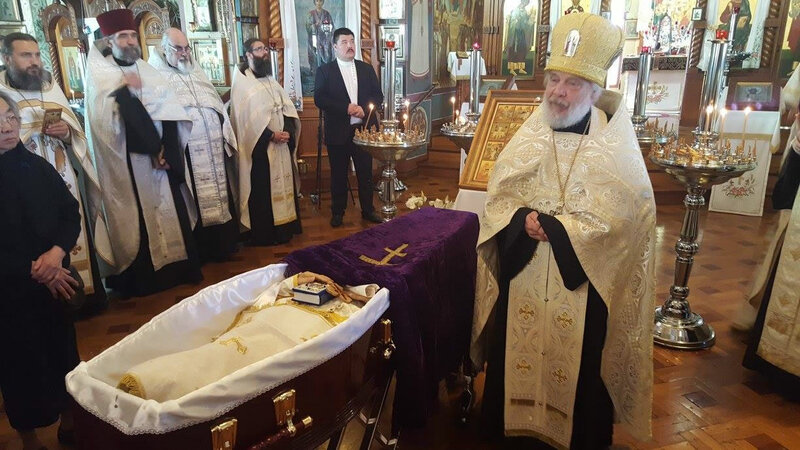 On Thursday, May 19, the feast day of St Job the Much-Suffering, St Job of Pochaev and also the birthday of Tsar-Martyr Nicholas II, the Vladimir Icon of the Mother of God Church in Brisbane, Queensland, held funerary services for Mitred Protopriest Michael Klebansky, a clergymen of the Australian Diocese who served faithfully for over 50 years. 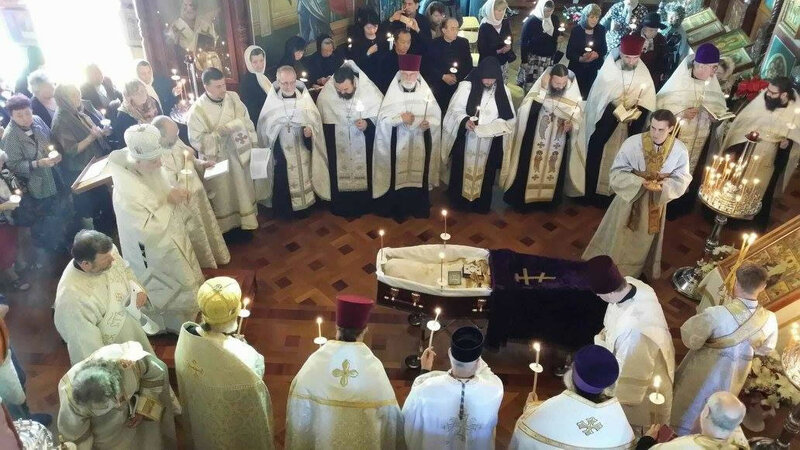 Eternal memory to the tireless servants of the Church of Christ!